Khmer New Year is coming soon. Normally we go to pagodas with family before, during Khmer New year. I would like everyone post some nice costume of women. The colors of the days. there you go, woman in "costume"
prahkeitouj wrote: Khmer New Year is coming soon. Normally we go to pagodas with family before, during Khmer New year. I would like everyone post some nice costume of women. 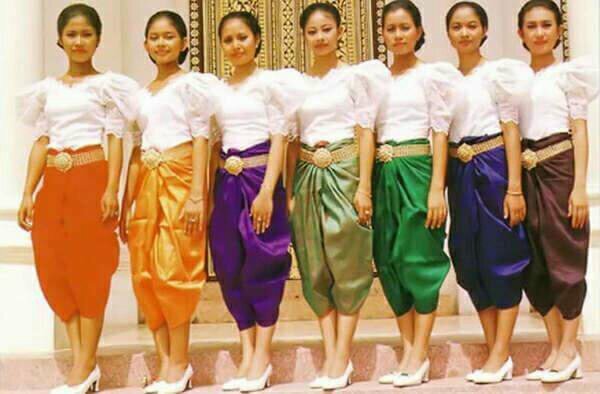 by the way, can we have some photo of khmer woman in darker skin tone? this obsession with white skin is not healthy, it is brought on by idolising western culture, dark skin, tan skin are beautiful too.
" this obsession with white skin is not healthy, it is brought on by idolising western culture, dark skin, tan skin are beautiful too"
Are you sure it didn't come from China or India? asp wrote: " this obsession with white skin is not healthy, it is brought on by idolising western culture, dark skin, tan skin are beautiful too"